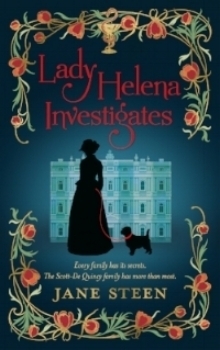 A reluctant lady sleuth finds she’s investigating her own family on England’s south coast in the 1880s. Available as ebooks and in paperback. Audiobook version coming in October 2018. Novels of suspense, action and romance set in the American Midwest of the 1870s. Available as ebooks, paperback and audiobooks. Short stories modeled on the classic nineteenth century ghost story: a mild thrill with a moral twist to the tale. As the sixth daughter, I’d spent my youth surrounded by other people, but since my marriage to Justin, I’d grown accustomed to the peace and spaciousness of Whitcombe House. Our world had revolved around the two of us, and we’d been happy. For me, that happiness had been all the more precious since I’d already lost one love, my cousin Daniel—and now my darling Justin had followed him to the grave. Lady Helena Whitcombe, née Lady Helena Scott-De Quincy, is jolted out of her comfortable existence in 1880s Sussex by the sudden death of her husband Justin. Investigating his death at the prompting of mysterious French physician Armand Fortier leads her to the realization that she knows very little about her own aristocratic family’s past. 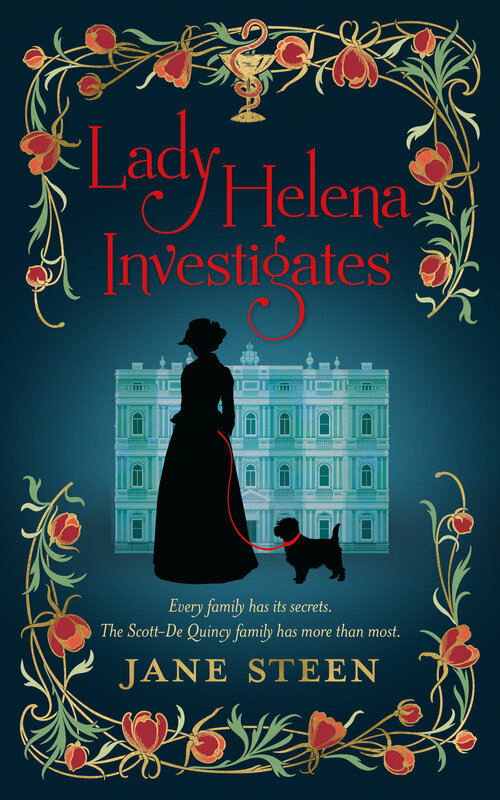 Step into Lady Helena Whitcombe’s world with a series that will blend family saga and mystery-driven action with a slow-burn romance in seven unputdownable investigations. 1881, Sussex. Lady Helena Scott-De Quincy’s marriage to Sir Justin Whitcombe gave new purpose to a life almost destroyed by the death of Helena’s first love. Helena is content with her quiet country life until Sir Justin is found dead in the river overlooked by their grand baroque mansion. The intrusion of attractive, mysterious French physician Armand Fortier, with his meddling theory of murder, into Helena’s first weeks of mourning is bad enough. But with her initial ineffective efforts at investigation and her attempts to revive her long-abandoned interest in herbalism comes the realization that she may have been mistaken about her own family’s past. Every family has its secrets. The Scott-De Quincy family has more than most. Available on iBooks, Kindle, Kobo, and Nook ereaders, and in paperback at all major online retailers. Audiobook version coming in October 2018. Nell Lillington's struggle to reconcile independence, love, and respectability begins with her refusal to name her baby's father, and the path to her ideal life is strewn with murder. Set in the American Midwest of the 1870s, this series blends suspense, romance, history, and family drama in a fast-paced clean read. 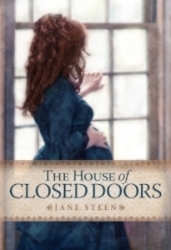 Small town Illinois, 1870: Desperate to avoid marriage, Nell Lillington refuses to divulge the name of her child's father and accepts her stepfather's decision that the baby be born at a Poor Farm and discreetly adopted. Until an unused padded cell is opened and two small bodies fall out. Nell is the only resident of the Poor Farm who is convinced that the unwed mother and her baby were murdered, and the incident prompts her to rethink her own life. But the secret she uncovers means she may have no safe place to run to. Available on iBooks, Kindle, Kobo, and Nook ereaders, as an audiobook on Audible and iTunes, and in paperback at all major online retailers. Frontier Kansas, 1872: Nell hopes to support her daughter Sarah and friend Tess by working as a seamstress in an isolated seminary, despite the hostility she encounters there. As her talent as a dressmaker begins to win her commissions, Nell attracts the attention of two suitors: Reiner Lehmann, a wealthy senior student, and Judah Poulton, an impoverished professor. Shocking news from back home and another death at the seminary press Nell to make her decision. A disastrous winter journey, a treacherous game, and an impossible love could wrest control of Nell's life out of her hands for good. Chicago, 1876: For Nell, Chicago, and her new wealth, offer the promise of longed-for independence. Yet how can she settle in a town where she's far too likely to run into Martin Rutherford and his glittering, faithless wife, Lucetta? Can she resist her love for Martin for Sarah's sake? But when Martin is arrested for murder, Nell's dreams appear to be swallowed up in the new web of secrets she constructs to help him. Secrets that threaten to alienate Tess, Sarah, and even Martin. For readers who want an absorbing long read, we've packaged the first three Nell Lillington novels into a boxed set! Follow Nell's journey from small-town Illinois in 1870 to Chicago in 1876, against the background of mass immigration, the rise of big business, political corruption and economic boom and bust. The most cost-effective way to get all three books. "I love this series. It is exceptionally well written; the language, the historical detail. Reading it was like eating a delicious piece of rich chocolate mousse cake and wishing you had more than just the one serving." Available as an ebook on iTunes, Kindle, Kobo, and Nook, and as an audiobook on Audible and iTunes. I'm a big fan of short stories from the nineteenth and early twentieth centuries, an era when newspaper circulation boomed and there was a huge popular demand for short-form entertainment. E.F. Benson's The Room in the Tower (1912), E.M. Forster's The Machine Stops (1909) and just about anything by Maupassant and O. Henry spring to mind as my favorites, but there are many more great ones. Most of the ones I like best have a supernatural element. Every so often a subject for a short story pops into my head, and since it's now possible to publish short stories easily as ebooks, I do just that. My short stories are very different from my novels, and allow me to explore a darker, drier, subtler side of my writing brain. The fog that rolled in off Lake Michigan that November morning was not an unusual phenomenon. But when Peter finished buttoning his coat to ward off the chill, he realized he was no longer alone in the lakeside cemetery. Was his past catching up with him? 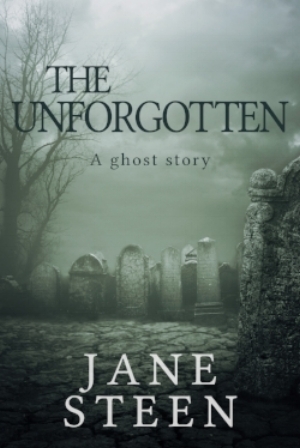 The Unforgotten is available as an ebook on iBooks, Kindle, Kobo, and Nook. The ghost of Charles Dickens is restless. Eternity is so long, and the world has changed in ways he finds hard to accept. His thoughts take him to his first real home on Doughty Street in London, where he encounters another spirit—a small boy with the unmistakable stamp of poverty upon him. A boy from his own time, and one who has clearly claimed the right to haunt the home where Dickens knew the first taste of success. But why? The answer to Dickens’ question is in the attic, and will confront the shade of one of the best-loved authors in the English language with a secret he’s kept all his life. The Bars of the Marshalsea is available as an ebook on iBooks, Kindle, Kobo, and Nook.